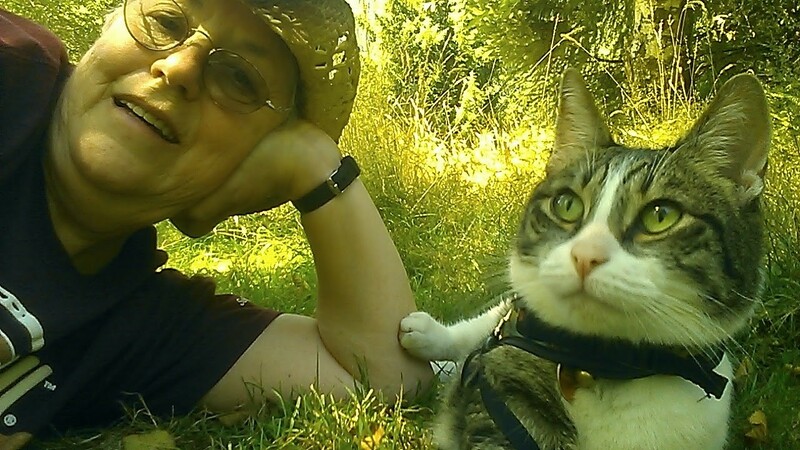 Many thanks to Deb Sanders who invited me to share some thoughts on her blog! It gave me a chance to reveal how story molecules bombard us, sometimes forming into full stories. Deb herself is great at this. A fellow RVing author, she pens mysteries and romances. You can read my post here. Judy Howard’s books have been very popular since she started writing them. Through her workshops and presentations she’s inspired many other to pick up the pen or start typing, including many RVers. We’re happy to be able to share some of her thoughts about her writing in general and writing as an RVer in specific. Your biographical note on your Amazon home page includes this quote from Henry David Thoreau: “How vain is it to sit down and write, when you have not stood up to live?” At what point did you realize you needed to write about what you’d lived? My husband passed away in August of 2004 and 3 months later I made my first solo trip in my motorhome from California to Florida. People referred to me as an inspiration, that I gave them courage to tackle things they had been afraid to try. Six years ago when I wrote my first book, Coast to Coast with a Cat and a Ghost, I felt my story needed to be told. An author, Louis Urea said, “Sometimes, God tells you what to write.” I believe it is the same for me. I intended the memoir to be somewhat of a travel log. Instead, it evolved into a story about not just dealing with the loss of a loved one, but also of facing spousal abuse and finding courage to stand up for myself and through the process, becoming stronger and greater than I ever dreamed of becoming. Your books are listed as novels, but the main character shares your name. How much of the character’s experiences in your books (Coast to Coast with a Cat and a Ghost and Going Home with a Cat and a Ghost) mirrors your own life? Coast To Coast With A Cat And A Ghost is definitely is the closest to a memoir. It was my first book and was well received, surprising me. So, as a new author, flying by the seat of her authorial sweat pants I wondered if I could make something up. And wa-la! Going Home With A Cat And A Ghost was born. My sister called me egotistical because I didn’t want to lose the character, Judy Howard. If she worked in the first book, why not keep her? I hadn’t planned a series but they say that’s how to sell book. Why not? So how much is truth and how much is fiction? I’ll leave that as part of the intrigue for the reader to ponder. Why did you choose to write fiction rather than autobiography? Your life sounds bigger than fiction! I find writing fiction to be fun, filled with my dreams. I can fly high on my fantasies, and unlike reality, I control the ending. The dark moments in a world of fiction may be difficult to write but never as painful as revealing the reality of a personal truth, which didn’t turn out as I had hoped. You are right, Ellen, my life is as big as the Montana sky and thrilling as lightning in a thunderstorm. Compared to a time in my life when suicide became a tempting option, the life I live today is more fulfilling and magical than I ever imagined. But those deep potholes from which I dragged myself out and the long detours I wandered through are easier for this author to address with distance , in a novel. Sometimes I do take the easy way but my usual mode of operation is the hard way. 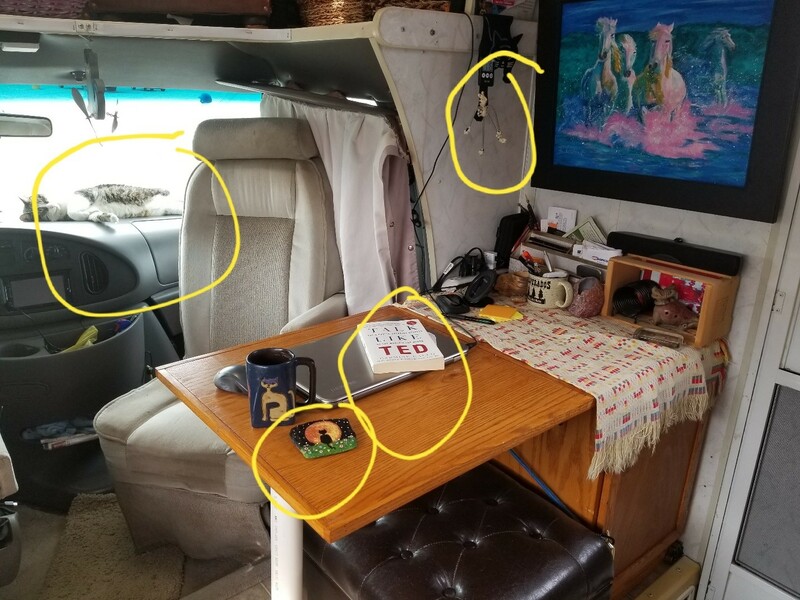 When did you start RVing? Do you still travel by RV? Do you write in your RV? I had a custom desk built in my RV. It is my favorite place to write. There is nothing more inspirational than pounding the keyboard while the rain beats on the roof, or when the ocean washes incessantly onto the beach, or the wind whispers ideas to me through the trees. On beautiful days, my cat, Sportster, will not stop howling until I move outside with my computer. It is there he can absorb the sights and smells of his surroundings and plot his next novel …or his autobiography? By the way, his nose is bent out of shape because no one yet has asked for an interview. I told him when he gets a couple more books out he will be taken more seriously as an author. He just twitched his tail, spit and then took a nap. 1. The muse. And famous author Sportster [@Sportsterandme.com]. 2. If you enlarge the photo you will see a timer. I’m trying out a new productivity strategy. 3. Gifts from a couple of my favorite people who keep me charged up with believing in myself on a professional level. The painted rock. Thank you Deb Sanders. 4. And my latest nonfiction book to insure that someday I will be climbing up on the stage to do my very own Ted Talk. Thank you, Lynne Morgan Spreen. Oh!! Don’t overlook the most impressive feature, my picture window that changes scenes with the twist of the ignition and a step on the accelerator!!! Welcome to my office! What inspires you most when you’re traveling? Nature, nature and more nature! And always the people and their stories. Every person should be required to serve a two year tour, living with the locals of several of the small towns in every fly-over state. Using one of your books as an example, could you walk us through how you got the idea through the final version of the book? What was the toughest part of the process for you? Why? By the time I finished my first book, Coast To Coast With A Cat And A Ghost, I was hooked on writing. I figured anyone can write their own story, but I wondered, could I make something up? So I tackled the familiar Hallmark romance story, reuniting with the old high school boyfriend. I mixed it up with some tragedy and intrigue and wrote Going Home With A Cat And A Ghost. Sportster the cat (featured in earlier books) has for some time narrated a blog. What inspired you to give him center stage as main character in Activate Lion Mode? After writing, Masada’s Marine, which was about a dog named Masada who becomes a service dog for an Iraq veteran with PTSD, I was emotionally exhausted. It took me two years to write and I considered laying down my pen and shutting off my computer. But writing is like a drug, and I couldn’t give it up. So I decided I would write something fun. Activate Lion Mode is the first in a new series. When can readers expect the second book? Does it have a title yet? Yes, they certainly can. Sportster promises Activate Love Mode will be out mid 2018. I too will have an autobiographical novel out in 2018. 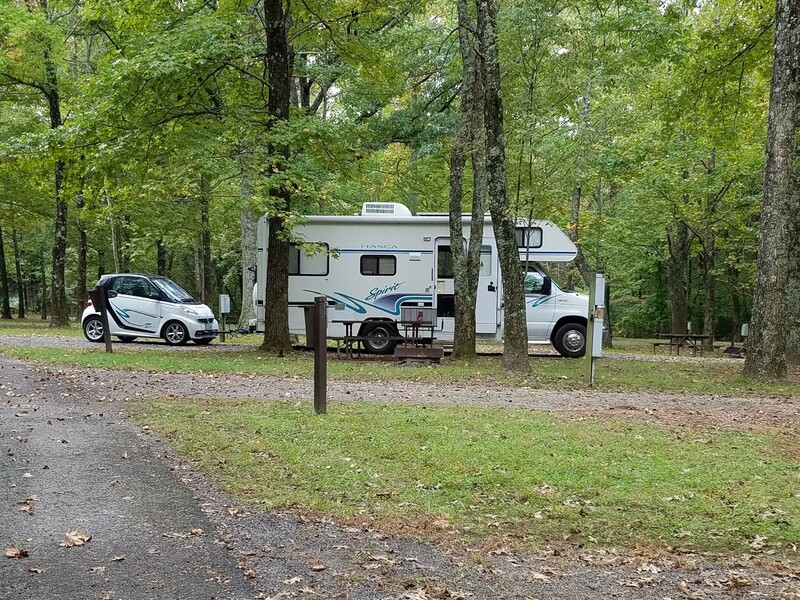 Will RVs continue to play a role in your books? Until they pry my cold dead hands from the steering wheel. What motivated you to write the Masada series, featuring a service dog for a PTSD-afflicted veteran? I discovered a nonprofit organization which raised puppies and then sent them to local prisons to be trained as service dogs for veterans. The prisoners win, the dogs win and the veterans win. What a great story! Your experience as a pet groomer clearly has influenced your writing. Do you have any advice for others who are thinking of incorporating aspects of their professional life into their fiction? Write about what you know even if your career seems ordinary to you. Your individual perspective and passion will give inspiration and passion to a story that no one else can. What have I not asked that you’d like to mention? An issue which writers are rarely asked is, “Writing is hard, lonely and full of doubt. How do you keep going?” Perhaps the public believes we have a gift, a talent which drives us and that it is easy for us. It is not. To be successful, we all have to do the work. Everyday. Every day I study the craft, and its many divisions –– writing, character building, plot and structure and so on –– updating my knowledge of the constant changing world of marketing and social media and publishing –– and most of the time I do this alone. So how do I keep going? I give it away. Through my writing and inspirational seminars, I try to help writers on their journey and, like magic, they help me. I keep going on, giving away the knowledge and support that others have lavished on me. Oh, and don’t let me forget!! Readers’ reviews keep us writers motivated. How can readers find you and your books online? Thanks, Judy! And safe travels! Enter your email address then click "Follow ellenbooks" below to receive notifications of new posts by email. Thank you! 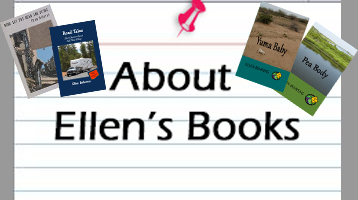 Want the latest info from ellenbooks? Copyright 2018 Ellen Behrens. All Rights Reserved. Please respect ownership of the text and images on this blog by not reproducing them without permission. If you have been so taken with an image or description used here, please contact Ellen Behrens for permission at ellenbehr@aol.com. Thank you!